Its been 6 months leading up to this big day! You couldn't sleep all night thinking about today and what would happen if your giant rebrand project launched into the eyes of the public. You have crossed your "t"s and dotted your "i"s and it is time to soak in all the praise and accolades! But wait, you think to yourself, did I make sure all 300 employees have been fully onboarded into the new rebranding program? *GASP!*... turn-on-panic-mode NOW! We have been through quite a few rebrand projects over the years and these are the top 5 things that most business executives struggle with during the painful tides of change. So, weare hoping that if you become aware of these BIG No-No's ahead of time, there will be a better chance of a smooth transition in your near future. Change is difficult for everyone, but it will be counter productive if you fight change during the rebranding process. According to google, Nostalgia means "a sentimental longing or wistful affection for the past, typically for a period or place with happy personal associations." This sentimental longing oftentimes will put the brakes on a project for no logical reason. It is better to go about a rebrand like pulling off a bandaid... slightly painful but quick. A rebrand of a restaurant has many intricacies that need to be addressed for a smooth launch. The rebranding checklist can help with that, but before tackling the checklist, take some time to map out the path. This will keep everyone on track during the sometimes difficult process. >> Are you gearing up for a company-wide rebrand? Download this FREE REBRANDING CHECKLIST to get you started! Rebrands must be done thoroughly. If treated like a cheap facelift, your customers will not be impressed. They may actually become confused and frustrated! A rebrand must encompass internal staff, external marketing efforts, social media and so much more that is illustrated in this restaurant rebranding checklist. Restaurants always have a story behind them. This is what drives the brand's character and get the guests excited. Figure out the strengths behind the origins and use them during the rebrand process. Incorporate these strengths to show how much you value your current brand value. They are the ones sitting at the tables, they are the ones experiencing your customer service, they are the ones that expect to be treated well. So, why not ask their opinion on things? They will be the best people to tell you what the restaurant's strength and weaknesses are and this is invaluable for a successful rebrand. Are you seeking marketing professionals for your brand? Contact us here for more information. Learn more about the brands we've worked with here. 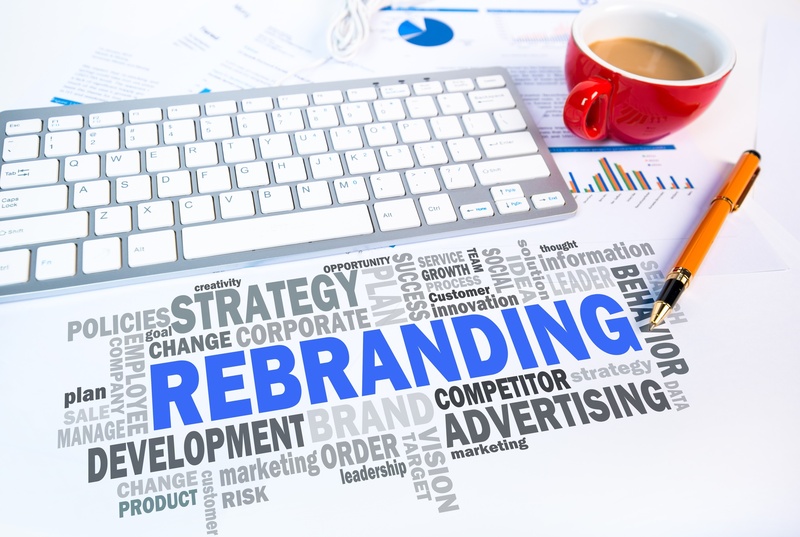 Are you gearing up for a company-wide rebrand? Download this FREE REBRANDING CHECKLIST to get you started!